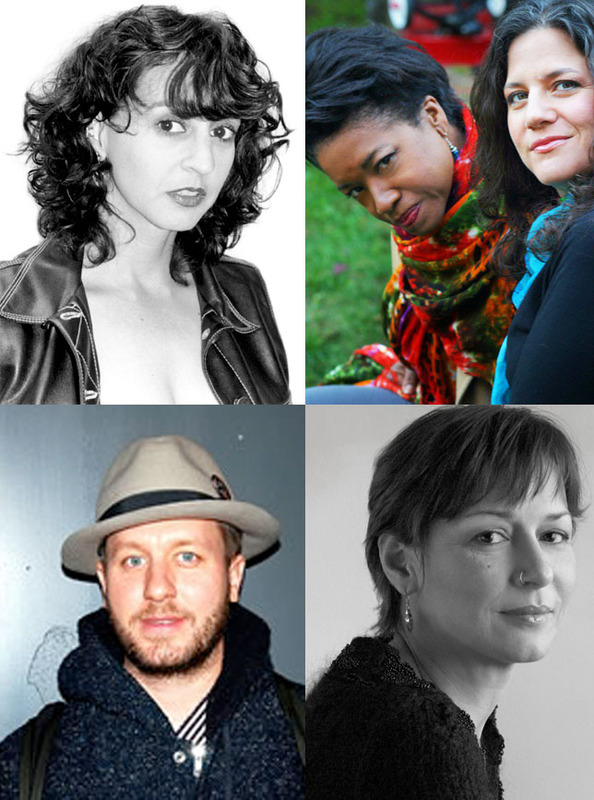 Featuring the Nightbird Reading, Poetry in Harmony, and a day of workshops, talks, and readings, even the “Poetry Police,” the 4th Annual Blackbird Poetry Festival returns Thursday, April 26th, to the campus of Howard Community College, this year presenting Kim Addonizio, Michael Cirelli, Naomi Ayala and Mother Ruckus. Last year’s Festival presented Martín Espada in the evening reading for which local blogger Tom Coale proclaimed it was, “the most engaging and thoughtful live entertainment that I’ve seen since leaving the storm-swept streets of New Orleans,” where culture bubbles up from living rather than ordaining down from academy. High, high praise. Read that blog post here. Tickets for the Nightbird reading, which includes refreshments, are $10 for students, $15 general admission, available at the door or online at brownpapertickets. The Nightbird Reading starts at 7:30 in Duncan Hall room 150, aka The Kittleman Room. The event is sponsored in part by Alpha Phi Alpha Fraternity, Division of English/World Languages and Office of Student Services, Howard Community College and the Sheraton Columbia. Throughout the day on the campus of HCC, a number of workshops, readings and talks will occur. Kim Addonizio will speak to a creative writing class in a private session; Michael Cirelli will meet with students and the community in an open session presenting a talk on “Hip-Hop Poetics, Education, 50 Cent & The Olive Garden.” An early afternoon reading will feature the Festival poets as well as readings by students, faculty and local writers. See the schedule below. Festival events actually begin off campus when Naomi Ayala will present to teachers during the Howard County School System’s Professional Development Day. Warning: April 26th is National Poem in your Pocket Day. Get caught on the community college campus by the Poetry Police without a poem and you’ll find yourself with a citation. Simple math: No Recitation Material = A Citation. While it’s a bad thing, it is not that bad a thing. The jovial officer will likely provide you with a poem so you don’t get caught again. Actually, if you are caught and you produce a poem to share, you’ll find yourself rewarded for good civic behavior. Need a poem, click here to find a variety to choose from, print one out to carry around. By hocopolitso in Uncategorized on April 23, 2012 .